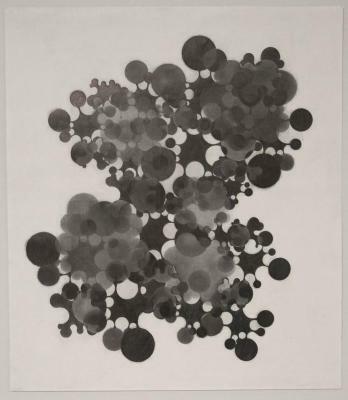 Phillip Chen, Flower Water, Relief Etching, 23 in X 31 in, 2001. 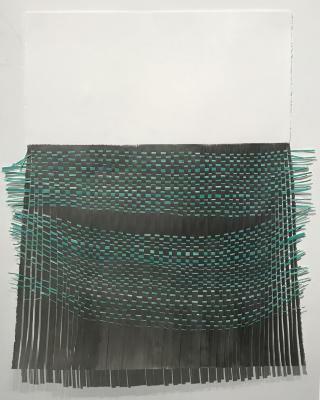 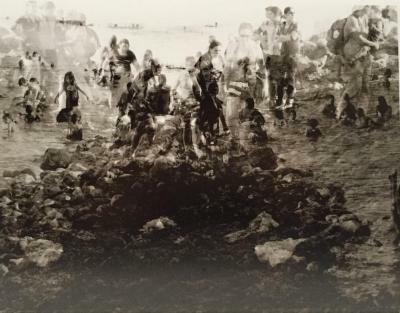 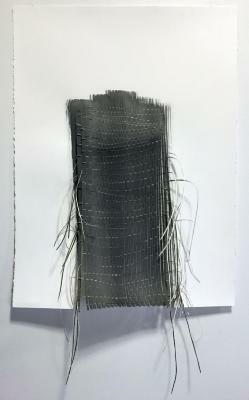 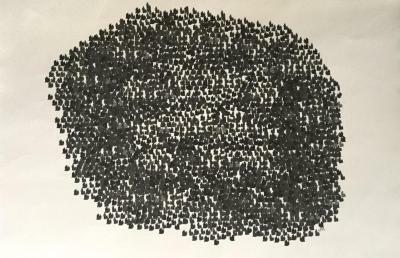 Phillip Chen, Federgeist, Relief etching, 31 in X 23 in, 2015. 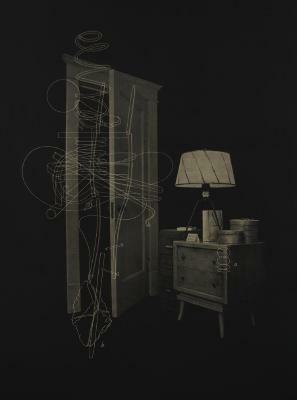 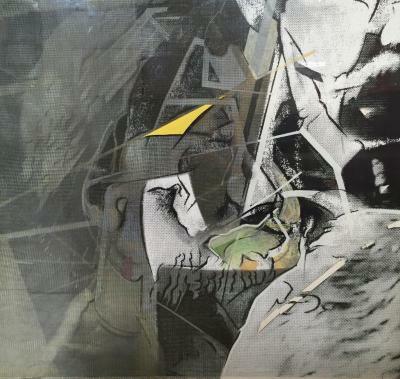 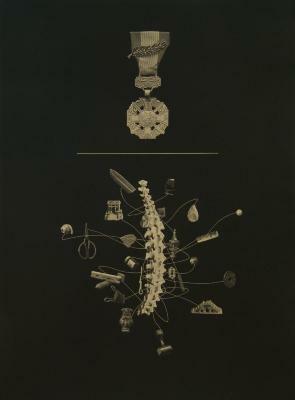 Phillip Chen, Common Factors, Relief etching, 23 in X 31 in, 2003. 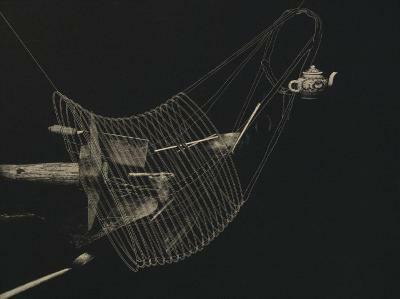 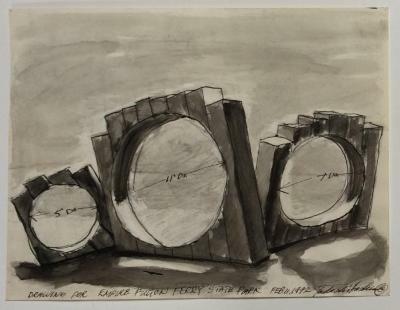 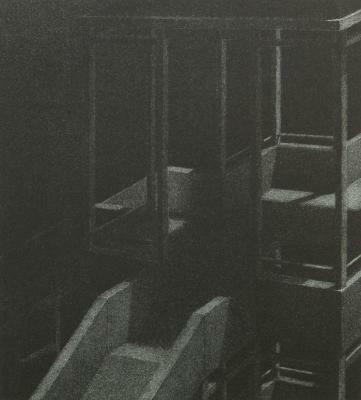 Tadashi Hashimoto, The Wells, Drawing for Empire Fulton Ferry State Park, graphite on paper, 10.5 in X 14 in, 1992. 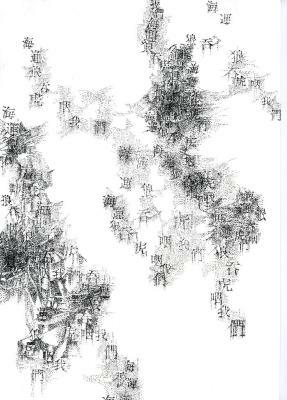 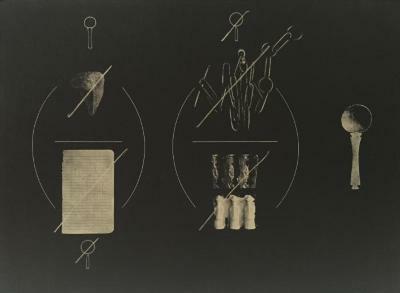 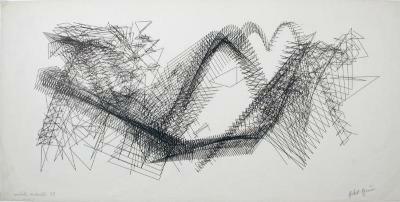 Tadashi Hashimoto, The Wells, Ground Plan for Empire Fulton Ferry State Park, graphite on paper, 14 in X 11 in, 1992. 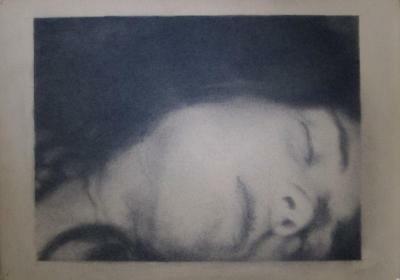 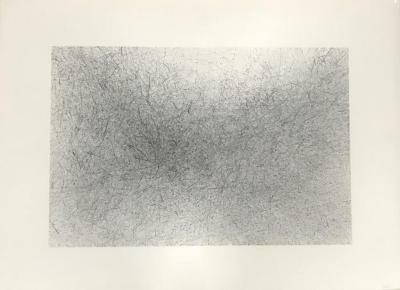 Richard Howe, 010721/5, Graphite on paper, 9.625 in X 17 in, 2001. 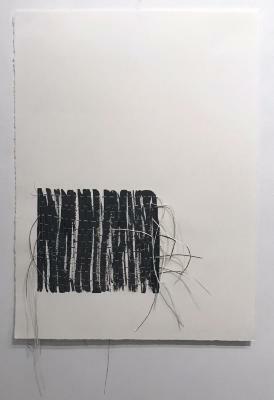 Hannah Israel, Us, Sumi ink on cut paper, 23 in X 34 in, 2015. 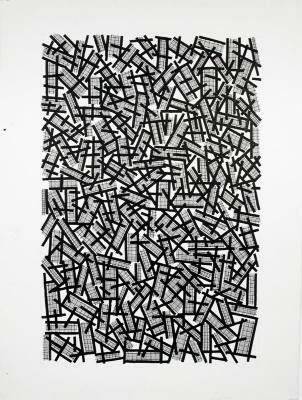 Richard Mock, CIA - FBI, Linocut, 4/80, 18 in X 20 in, 2002. 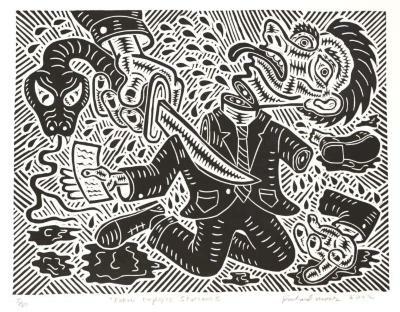 Richard Mock, Enron Employee Severance , Linocut, 5/80, 18 in X 20 in, 2002. 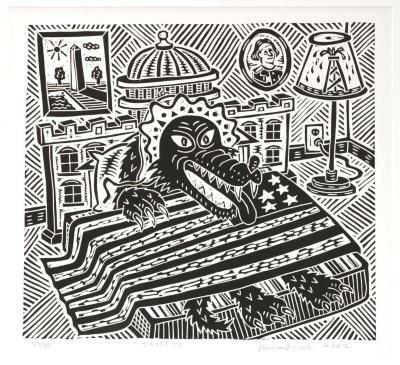 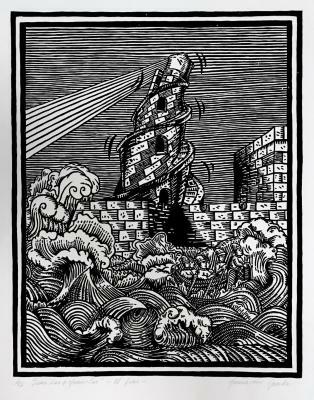 Richard Mock, Gentrification Slug, Linocut, 12/80, 18 in X 20 in, 2003. 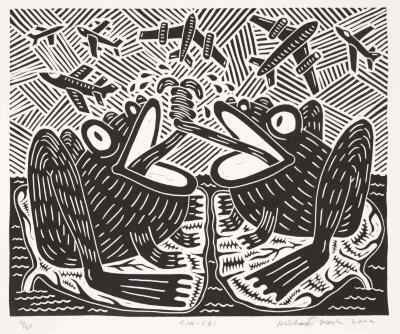 Richard Mock, Japanese Woman Fights Industrial Pollution, Linocut, 1/50, 20 in X 18 in, 1999. 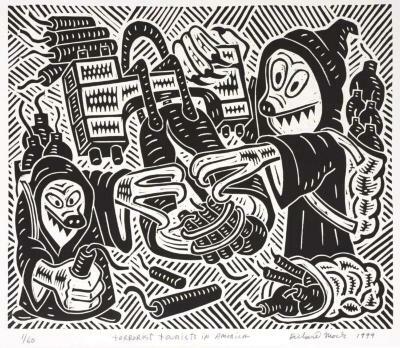 Richard Mock, Terrorist Tourists in America, Linocut, 1/60, 18 in X 20 in, 1999. 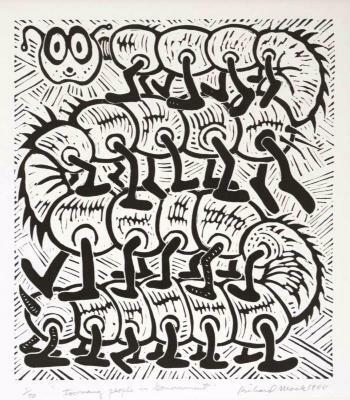 Richard Mock, Too Many People in Government, Linocut, 1/70, 18 in X 20 in, 1988. 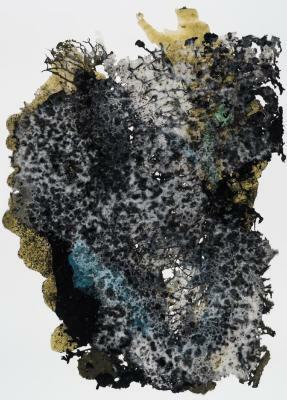 Euan Naan, Passenger Drawing, marker on paper, 11 in X 9 in, 2017.